There are ordinary Siesta Key beach resorts that offer a few basic features. And then on an entirely different level is Gulf and Bay Club, where you’ll enjoy a complete range of world-class amenities! There’s something to do and experience for every occasion and preference. Feel like relaxing and unwinding? How about boosting your health and wellness on the courts or in the club? Or perhaps you’d like to take an evening stroll or refreshing swim? When you call Gulf and Bay home, you can do it all — day or night. Entertaining your guests is one thing — and impressing them is another! You’ll always achieve the latter when you invite family and friends for a visit. 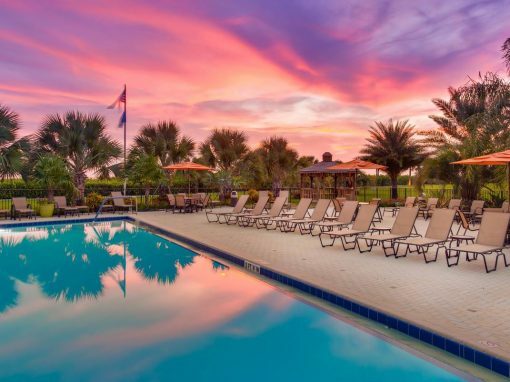 Gulf and Bay Club offers a truly upscale and elegant, yet relaxed and down-to-earth experience that simply isn’t offered at other Siesta Key beach resorts. You can fire up the barbecue, have a picnic on the beach, dance the day and night away, enjoy fun on the water — or under the water if you feel like a snorkeling or scuba diving adventure — and so much more. The only limit is your imagination! Two electric vehicle charging stations that are available and free to guests and owners – NEW! In addition to all of the above, you’ll be minutes away from all that the Siesta Key has to offer: shopping, dining, boating, playing, recreation, museums, wetlands, wildlife ecosystems, and the list goes on! And if you’re searching for chill nightlight activities, you’ll have plenty of options, such as Siesta Key Oyster Bar, the Daiquiri Deck, Gilligan’s Island (home to the ultimate Tiki party hut experience! ), the Beach Club, and the world-famous Sunday Drum Circle, where visitors and locals gather to greet the sunset with an incredible, pulsating drum circle that you’ll never forget. Whatever you and your guests are in the mood for, there’s something for everyone from kids to seniors. If you have questions we have provided answers to some of our frequently asked questions on the tropical beach resorts FAQ page. Discover why Gulf and Bay Club is simply the best of the best Siesta Key beach resorts. Browse our inventory of units for sale or rent, and contact us to schedule a private showing.